Pain in the big toe when due to peripheral neuropathy, may feel as though it's on the inside side part of your big toe, (the side that is not by the 2nd toe), and goes up the inside part of your leg towards your knee. This makes perfect sense due to the nerve distribution. 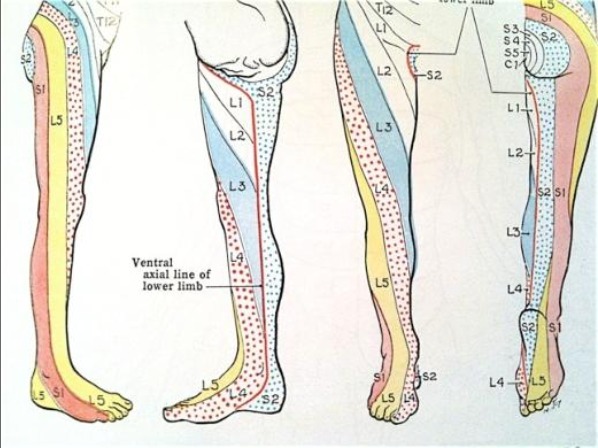 Looking at the Dermatome chart, this would be consistent with Dermatome L-4, which also corresponds to the pin labeled A.